See the WAEC Result of Former President, Goodluck Jonathan. His grades Will Shock You. 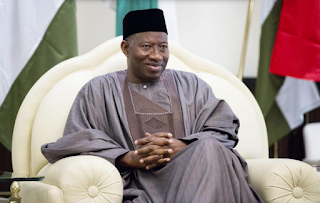 HomeNaija NewsSee the WAEC Result of Former President, Goodluck Jonathan. His grades Will Shock You. Former Special Adviser to President Goodluck Jonathan, Reno Omokri has taken to his Twitter page to share a WAEC result he says belongs to the immediate past President. He also dared others to present theirs too ‘If Dino must present his certificate, then others must also present their own too! O PROVE THAT HE ISN’T CLUELESS ‘ – He said. Message to all those who call/called @GEJonathan 'clueless'!